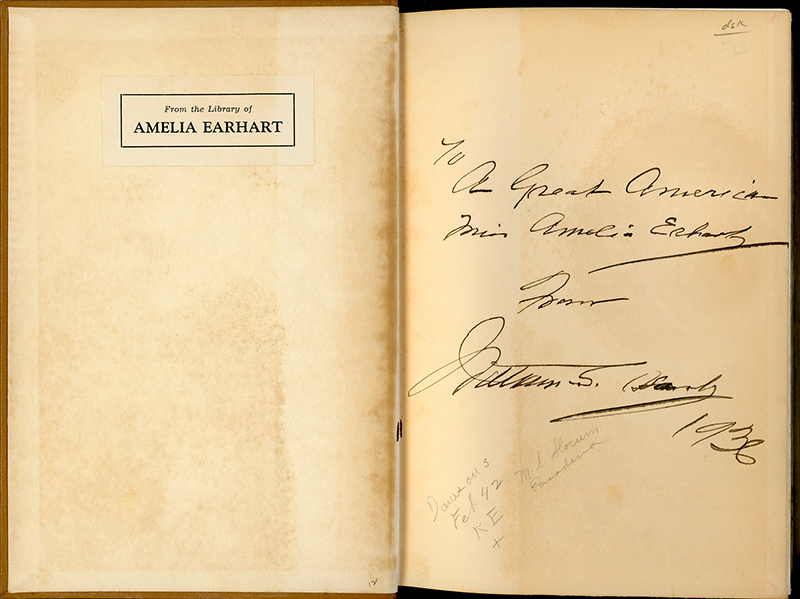 SCVHistory.com LW3385 | William S. Hart's Autobiography, Inscribed to & Owned by Amelia Earhart, 1936. The copy of William S. Hart's 1929 autobiography, "My Life East and West," that the author inscribed to aviatrix Amelia Earhart in 1936. Inscription reads: "To a Great American / Miss Amelia Erhart [sic] / From / William S. Hart / 1936." With Earhart's personal bookplate — "From the Library of Amelia Earhart" — showing she actually owned it. 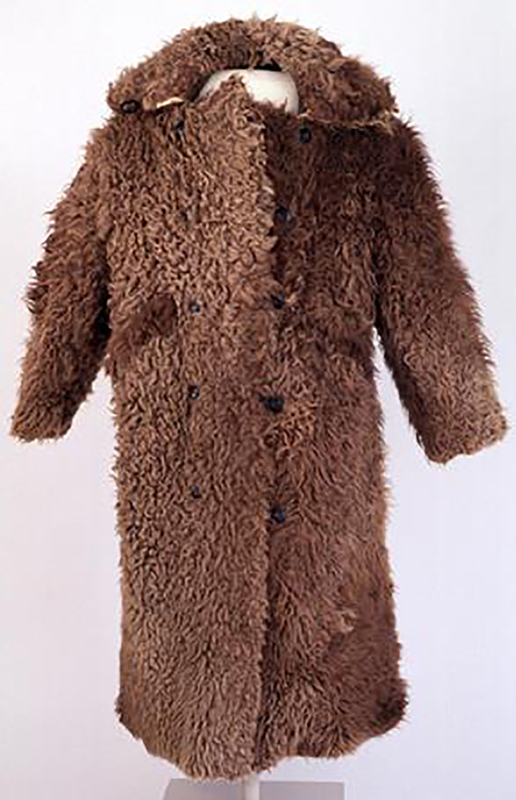 We don't know, but it's possible Hart sent her the book when he sent her the buffalo coat, also in 1936 (see below). Hart doesn't mention it in either letter about the coat. It's impossible to know whether she read it, but the worn dust jacket is a good sign in this instance (only)! She might not have had time. She was busy preparing for her first (aborted) attempt at circum­navigating the globe in March 1937. She went missing on her second attempt in June-July 1937. 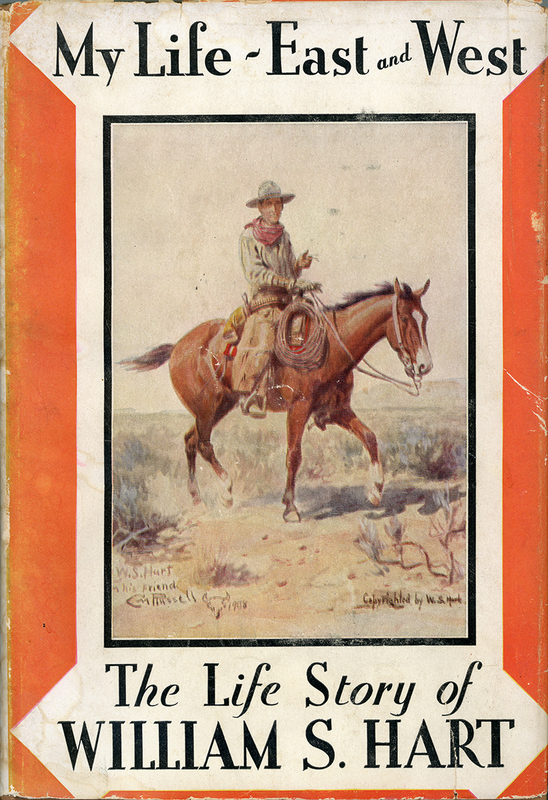 Sometime after her disappearance, the book found its way to the library of of Miles Standish Slocum (1887-1956), a prominent Pasadena book collector who focused on the literature and history of the American West. After Slocum's death, the book passed down eventually to his granddaughter. 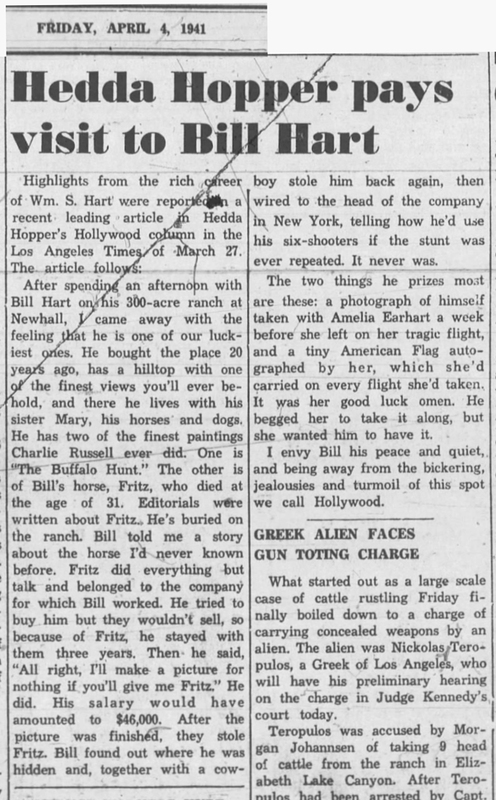 In August 2018, by way of the granddaughter's nephew, Bryan Woodhall of Custer, South Dakota, it came home to Newhall where it started. LW3385: 9600 dpi jpeg from original book purchased 2018 by Leon Worden.